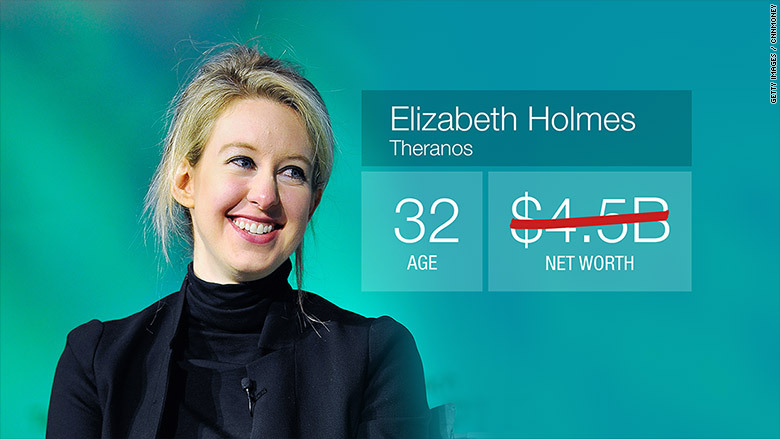 Theranos founder Elizabeth Holmes was once hailed by Forbes as America's richest self-made woman. That was just last year, when Forbes estimated that she was worth $4.5 billion. But oh how one year has changed things. Forbes said on Wednesday that it has lowered its estimate of Holmes' net worth to "nothing." It has also removed her from its wealth lists, at least for the time being. Forbes said it has reexamined and revised Theranos' $9 billion valuation in light of recent investigations and allegations against the company. Citing conversations with venture capitalists and analysts, Forbes estimates that the company is actually worth a great deal less: $800 million. That takes into account its intellectual property and financing, according to Forbes' Matthew Herper. Holmes' 50% stake in the company would effectively be worth nothing at that valuation, Forbes concludes, because her investors would be paid back first (they hold preferred stock, not common stock like Holmes). For its part, Theranos said that, as a privately-held company, it declined to share confidential financial information with Forbes. 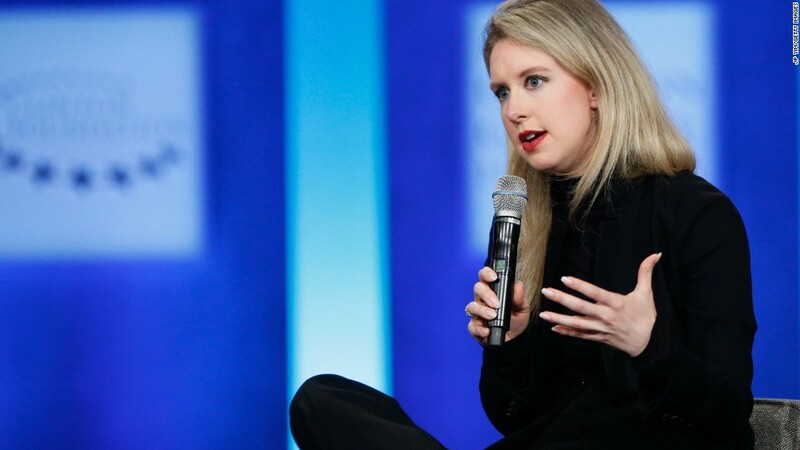 "As a result, the article was based exclusively on speculation and press reports," wrote Theranos spokeswoman Brooke Buchanan in a statement sent to CNNMoney. Holmes, a Stanford dropout, founded Theranos in 2003 when she was just 19. She successfully raised millions on its claim that her company's technology can "quickly process the full range of laboratory tests from a few drops of blood," a promise that is unraveling by the day. Theranos was the subject of a damning expose in the Wall Street Journal in October, which that claimed the company performed a very limited number of blood tests with its own equipment. Everything from the company's board to its testing methods have been heavily scrutinized since. Theranos is under investigation from the Centers for Medicare and Medicaid Services, the SEC and the Justice Department. Two weeks ago, it said it voided two years' worth of results from its "Edison" device. In the past week, it has been slapped with three lawsuits for inaccurate blood tests and false marketing.